Have you ever been in a float tank? I’ve always been curious about float tanks. But it wasn’t until last week that I actually took the… plunge. After getting back into cycling, hiking and karate training for the year, my body has been a little achy and tight. My massage therapist told me, “you know what you need? A float. Go on, ring up now!” Well, there’s nothing like the power of now. So I called the place she recommended. They’d moved. But I tracked them down and was booked in for my first float two hours later. Prior to taking the float I chatted to a friend online. “What about claustrophobia?” we wondered. “Can you leave the lid open?” I also wondered how clean the float tank would be and what the hygiene standards were like. Well. When I arrived at the float centre I was asked to shower and shampoo my hair before getting into the tank (towels and shampoo were provided). The float tank was heated to luke warm temperature, so a shower cooler than skin temperature is recommended before you jump into the tank. I thought I’d get cold in the tank (as I’m a bit of a cold frog) but I had no problem with the temperature at all – I was completely comfortable. And yes, you can leave the lid ajar if you wish. I had my eyes closed and was perfectly happy to close the lid completely. You are also given ear plugs to prevent the water filling up your ear canals. And soft relaxation music plays for the first 20 minutes of your session. The tank looked very clean and the water was crystal clear. The water has had 350 kilograms of epsom salts dissolved into it. Okay, so that’s a tad more than the 1-2 cups I’d normally use in the bath. This strong epsom salts solution makes you float – just as you would in the Red Sea. The massage therapist had warned me not to hold my head up, “your head won’t sink – make sure that you completely relax your neck – you won’t drown.” And she was right. It was great advice. In fact, I relaxed so much I fell asleep while floating in the heavily mineralised water. It wasn’t until the relaxation music that is played in the last ten minutes of your one hour session came on that I woke up. After showering the salts away and drying off, I experienced a deep sense of relaxation. I don’t think I would have been in a position to operate heavy machinery or rely on any sharp mental function that afternoon. I also slept very well that night. And yes, my tight (just about rock-hard) neck and shoulders were looser, allowing my massage therapist to work deeper on me in my next treatment. In Chinese medicine this translates to my Shen (spirit) being calmed, the excess Yang had descended and the Qi was flowing smoothly in the channels. And in fact, salt is used in our medicine for its softening, loosening, cooling and downbearing actions. Makes sense. If you’re in need of some relaxation or a good night’s sleep a float session might be just up your alley. Combine it with some acupuncture and/or massage and you would surely be taken off to a soft, white, floaty, cloud heaven. Are you a float tank enthusiast? The fabulous naturopath Kathleen Murphy and I co-authored a little gem of an e-book a short while ago. It followed on from a presentation that we gave at the packed Blue Lotus tent at the Woodford Folk Festival. Kathleen covered the easy homemade herbal remedies and I taught some simple acupressure techniques. 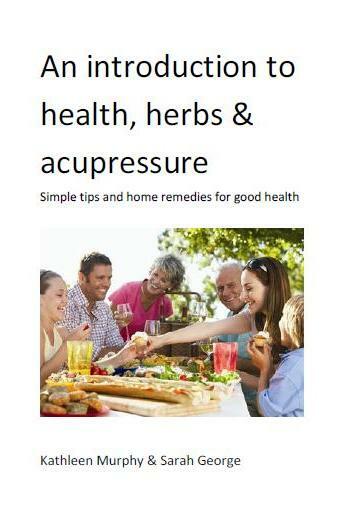 Click here to download the ebook – herbs health acupressure 2013 for free! 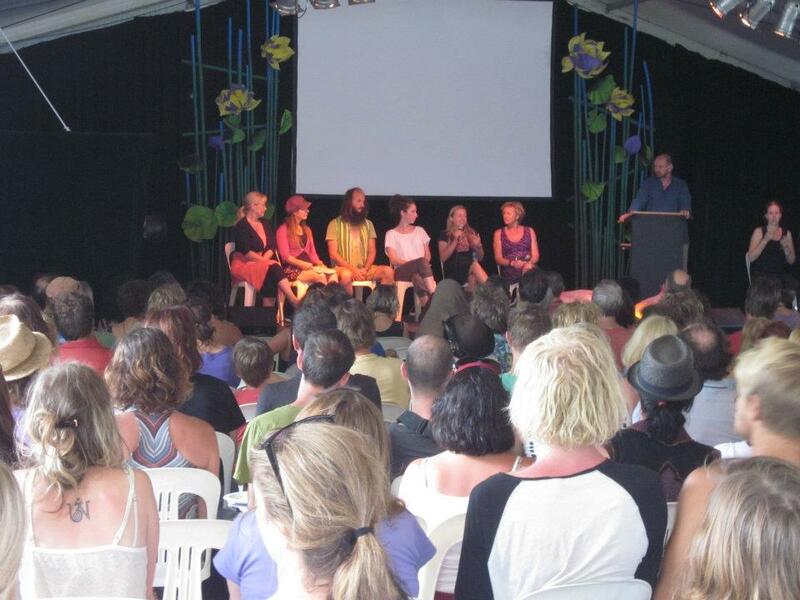 We are speaking at the Woodford Folk Festival again! Learn some relaxation techniques for babies at bedtime including acupressure and aromatherapy. This talk will be held in the Children’s Festival and will be a fun hands on session for you and your baby. Some of the ideas will be great for big kids who can’t sleep too! Gluten And Grain Intolerance: What Does It Mean For You? We’ll be shedding some light on what it means to have food intolerance and why so many people can’t eat certain grains. We will look at our modern Australian diet and how to make the most of each meal. I’ll discuss what this means in Traditional Chinese Medicine terms and how to manage a weak digestive system. Whether you choose to eat meat, or exclude animal products from your diet altogether, it’s important to make the right choice for you. We will talk about common misconceptions, frequent queries and overall benefits for each. I’ll bring in how Traditional Chinese Medicine views these diets and how food can be used to bring balance to the body. The Woodford Folk Festival is an incredibly great way to spend the week around New Year. There is always so much good music to soak up, dancing to be done, artistic things to create, speakers to inspire you (on health, the environment, music, creativity and living) and new people to meet. It has all the makings of a positive start to your new year. We hope to see you there. Check out the times and venues of our talks. Here’s just a snippet of information from my latest research paper on menopause (the topic as voted by the HealthWise Clinic facebook fans). Menopause brings with it a range of symptoms for many women and these symptoms vary in different parts of the world. In Asian countries women are more likely to suffer from joint pains and body aches. Over here in the west, women are more likely to feel the effects of hot flushes, night sweats, insomnia, vaginal dryness and anxiety. There are a range of therapies that can be of assistance to women to transition through this time of change, which is convenient given that we are all unique and have our own individual symptoms and preferences. Treatments range from Hormone Replacement Therapy (HRT) to complementary medicine treatments such as herbal medicine and Traditional Chinese Medicine (TCM) techniques such as acupuncture. Additionally, research is showing that when women are more relaxed their symptoms also decrease in severity and frequency. Don’t sweat the small stuff – literally. Easier said than done, I know, but worth incorporating into your lifestyle anyway. Partake in relaxing, low impact exercise such as yoga or tai chi and short walks most days per week. Participate in ‘Yin’ activities (slow, quiet, cool, gentle, feminine) such as meditation, breathing exercises, reading for pleasure. Have a massage or facial, particularly when feeling more anxious or stressed. Refrain from stimulating activities before bedtime including TV and computer use, and instead use this time to ‘wind down’. Avoid excessive spicy food, red meat, coffee and alcohol as well as minimising barbecued, roasted or fried foods. Increase intake of oily and white fish, raw nuts and seeds, leafy green vegetables, mung beans, celery, tomato, olive and flaxseed oil, and have up to two serves of fruit per day such as berries, citrus, melon or apples. Goji berries and dates (Chinese red dates in particular) can be added to porridges for breakfast. Use cooking methods such as steaming, stewing, stir-frying and making soups. Make sure that the fluid intake is around 2L of water per day. Adding a squeeze of lemon juice to this makes for a refreshing, cooling beverage. For women who also have oedema and cold hands or feet, or other sensations of coldness, the information above may vary. If you are struggling to manage menopausal symptoms you should seek assistance from a qualified health professional for personalised advice. I want my bath…and the essential oils! I love baths. There’s nothing like a long soak in a warm bath for your health and happiness. And in Winter, I think baths are even nicer. Here’s some simple steps to create your perfect mind-relaxing, muscle-soothing and health-promoting bath. 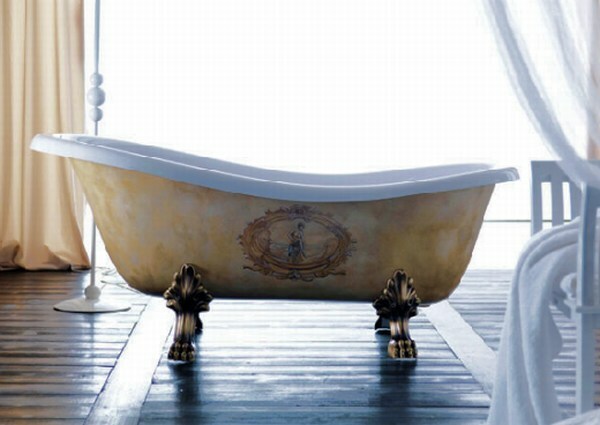 Be careful, like anything that creates a sense of euphoria, baths like these can be addictive! Remove all unpleasant noises from earshot of your bath (eg. phones, children). Run the bath with the perfect temperature water for you. Add 1-2 cups of epsom salts to soothe your muscular aches away. Assemble fluffy towels in easy reach of your bath. Will you be in the need of a beverage? A nice cup of herbal tea goes down well, but sometimes a glass of wine fits the mood. Sink into the bath, relax and enjoy. 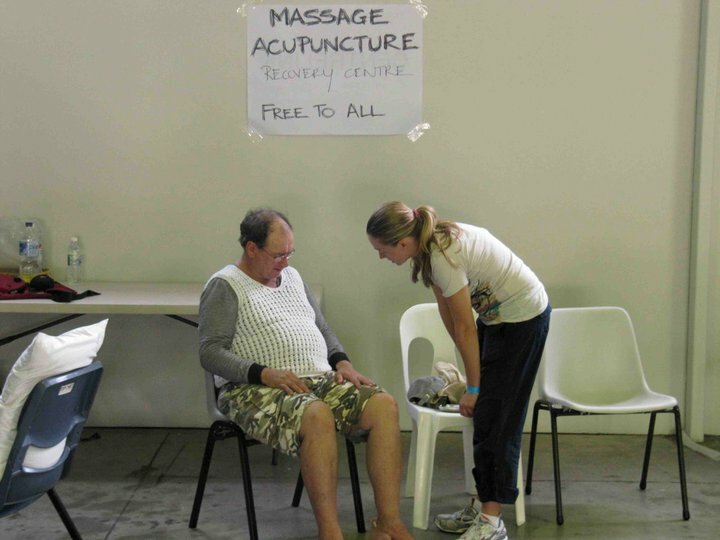 On Friday 14th January, a group of acupuncture colleagues decided to put their skills to good use and assist evacuees and volunteers based at the Brisbane RNA Showgrounds. The group, named Acupuncture Recovery Clinic (ARC), worked from 8am to 8pm daily providing massage and acupuncture treatments, free to all. Sarah George joined the team on Friday and worked throughout the weekend treating evacuees and volunteers for stress, insomnia, fatigue and body aches. She was joined by at least 30 other volunteer professional acupuncturists and massage therapists. Acupuncture supplies were donated by the practitioners and local clinics (including HealthWise) and industry suppliers. Sarah is taking an active role in ARC to continue the efforts of the volunteer group once the RNA evacuation centre is closed. The group plans to provide discounted treatments to those seriously affected by the floods in the weeks to come.